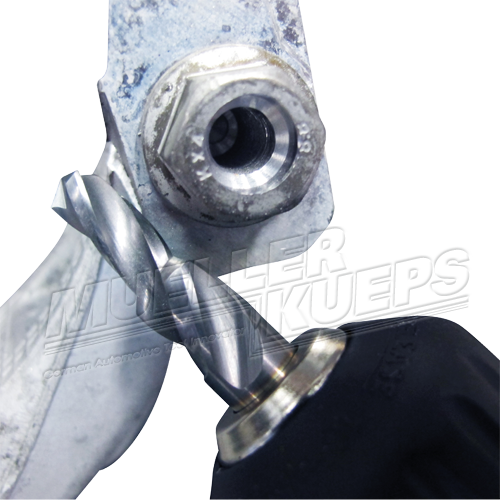 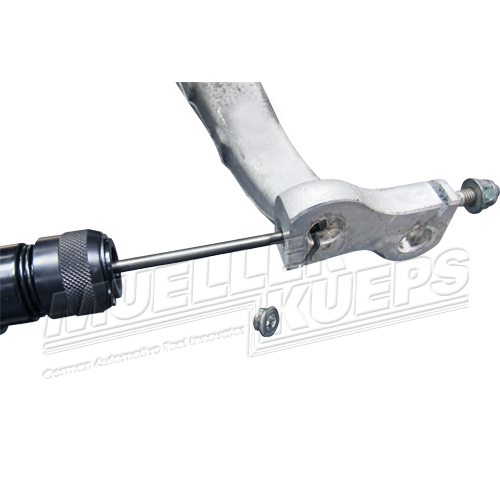 For the removal of the aluminum 4-link locking bolt via the exact central drilling method. 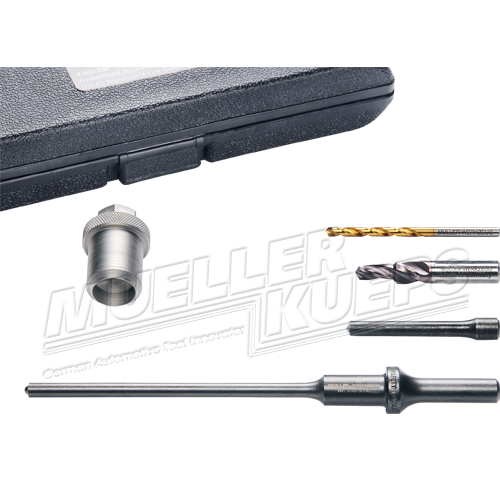 Remove rusted and corroded bolts easily with this 3-step kit. 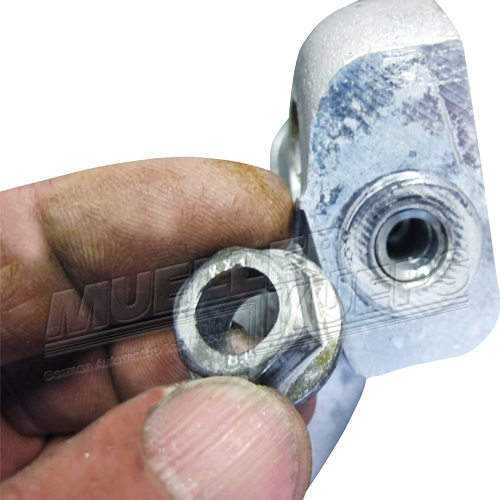 By pushing the bolt out with the pressure pin the end of the screw thread can not be widened. 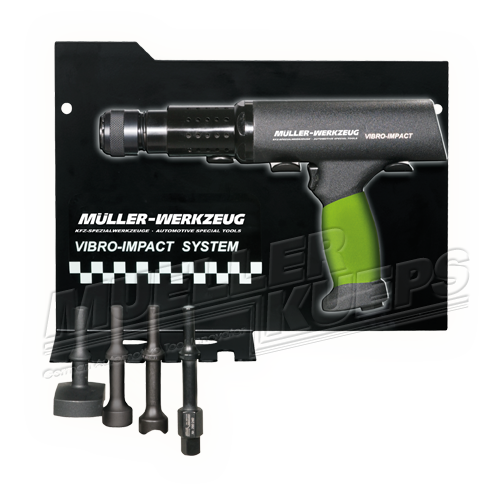 Use with the # 290 206 high ­performance air hammer for best results.